My name is Jarell Lindsey. You may know me from the newsletter released about the results of isometrics. These results are real, achieved without supplements, powders, or any similar products that the general public often mistakes for the only way to gain muscle. I was never a large person; I was once mistaken for a seven year old in 8th grade. Thankfully, I grew a bit during my freshman year in high school, and continued to grow afterwards, at least in height; I was a rather lanky kid. I have a mother who was ill, so I sought to increase my strength to be as much of an aid to her as possible. However, my intentions were not entirely noble. My hormones were raging; thus, I sought quickest method to instantly win the hearts of the girls at my school. I figured that improving my physique would be a 1-up. I read numerous body building websites and tried their exercises, but the workouts changed too much, and I needed to be a near addict to protein powder. No results. I came upon Isometric-Training.com and found some interesting information, but much of it conflicted with my conception of strength building, so I put a pause on the website. However, searching training methods on the internet almost religiously, finding the right one eclipsed females in my mind. I read about people like Mas Oyama, Shaolin monks, and Maxick; I was getting warmer in my search. I had neither time to train like the Shaolin, nor a mountain to train as Mas Oyama did. However, I found a light at the end of the Maxick tunnel. Conventional training methods left me too sore, and required a gym, which I didn’t always have access to. Yet, Maxick’s training methods involved simply flexing to greatly increase muscle control. I saw the word ‘isometrics’. I swore I’d seen that word before. I searched it and stumbled upon the Father of Isometrics, Alexander Zass. Reading about his style of exercise reminded me where I had first heard about Isometrics – on this very website. I came to the website, tried some of the exercises, and emailed Paul about things that I didn’t quite understand. The results were astounding. I only wrestled one year of high school, my senior year, and I dominated the 140 weight class, even winning exhibition matches against 152 and 160lb wrestlers, respectively. My mother had multiple sclerosis, so I brother and I usually had to transport her places. I went from only being able to hold her legs to being able to support her entire bodyweight. 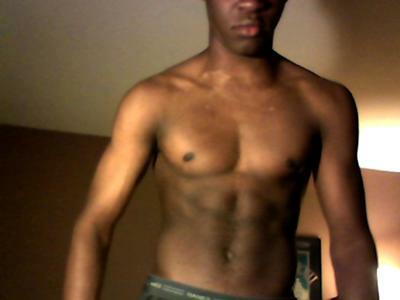 I was so ecstatic that I didn’t even pay attention when girls began noticing my change in physique. I have undergone a physical and mental change in my quest for true strength. I am now on my way to college, so I have a three-week period to see how much progress I can make. I don’t have the proper equipment to measure much more than my bodyweight, so I will leave it up to you to judge most of my progress. Note: I will mostly train with machines during these three weeks, because I now visit the YMCA daily with my uncle, who, thanks to the PB system, is rather fit for a 40 year old, even though he is 78! I just returned from a 6-week summer program and ate more than I normally would. So I began my week at 156lbs. The first thing I wanted to remedy was my stomach, which had become rather pronounced over the summer. I could only manage 90lbs on the rotating abs machine (a twisting instead of a crunching motion), but I was determined to improve as much as possible, so I twisted and held my torso in the strong, mid, and weak range on both sides for 7 seconds each. And I did the PB breathing exercises, which I had mostly neglected over the summer. Talk about results! By the end of the week, I was twisting the max amount of weight (190), and had a more defined torso than when the summer began! Managed to get down to 151, and results are visible. I wanted more leg strength because I played a lot of basketball and soccer over the summer, so I needed strong kicking and jumping power. I could already do the max amount of weight on the leg machines, so I did some PB leg exercises, and the exercises still refused to let me down. A certain someone can now get rim on a professional sized basketball hoop. What do you know? Each of these machines has handles to grip as one performs the exercises, and so my forearms have benefitted from doing these exercises. Putting more focus on my forearms, I did some PB forearm exercises, and held a mid-pushup position on just my fingers (lasted for ten seconds). The pushup was slightly painful on my fingers, but overall the exercises have given me stellar grip strength. Hopefully, in time, I’ll be able to match Bruce Lee and Paul in their abilities to balance their whole bodyweights on just thumbs and toes. One step at a time . I wanted to increase my running speed, but I could already do the max amount of weight for both the quadriceps and the hamstring machines. What was I missing? STABILIZERS! I was trying to build an expensive house with a silly putty foundation. My gym has a machine to work the leg abductors/adductors, but I neglected it for the larger, more obvious muscles. Almost immediate results – I could run faster without getting tired after just one workout. Plus, it increased my time in horse stance and wall sits, which further strengthened my legs. 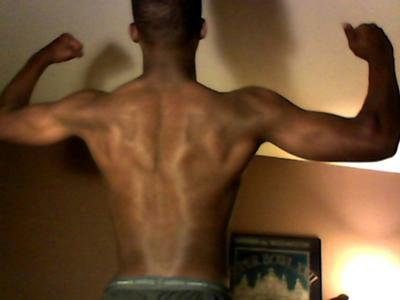 For whatever reason, I’ve always been obsessed with increasing my back strength. Perhaps it was image of Maxick’s solid jade back muscles that made me quest for such back strength. Thus, my back workouts begin. My immediate first thought, as a wrestler, was a favorite of Paul’s, the bridge. I revisited my bridge form and realized that it was a bit off, so I corrected my form and the exercise felt even more difficult. I was determined to maintain my bridge for 3 minutes, and I reached it after numerous fails. After doing so, I felt confident working on the back machine in the gym. 210 on the lat pull down, 270 on the back row, 200 on the back fly. 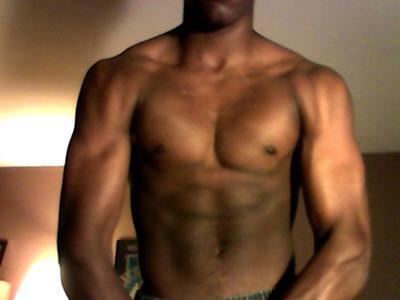 Not bad for a kid 150lbs. Took a break for my birthday, finally 18! Dinner with family, indulged a bit, well needed day of rest. 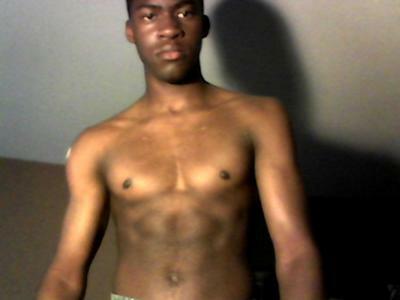 Did some isometric pushups with a focus on chest instead of forearms. Good results! I feel plateau proof, that is, when I take adequate rest time, which I sometimes neglect in my youthful impatience. Slightly more chest development and back development, overtrained a bit so results may not be maximal, but I certainly increased my lifting potential, especially in my legs. Very much looking forward to this final week of exercise. Join in and write your own page! It's easy to do. How? Simply click here to return to Fitness Log.